Grilling season doesn’t only have mean to throwing slabs and links of various meats and sausages onto the grill…not that there’s anything wrong with that. But, don’t forget that vegetables are also great on the grill! I love being able to make an entire meal on the grill at the same time. With a large cooking surface and the ability to vary the heat in different zones, I often find myself with veggies in one zone, meat in another and sauce on the side burner or on the top grates. Tongs in one hand, cocktail in the other. Is it any wonder that people love grilling? I made these grilled asparagus the other night while doing just as I described. I paired them with some Whole Foods salmon burgers well after the sun had set and the kids were in bed. It was the perfect end to a low-key Saturday night! 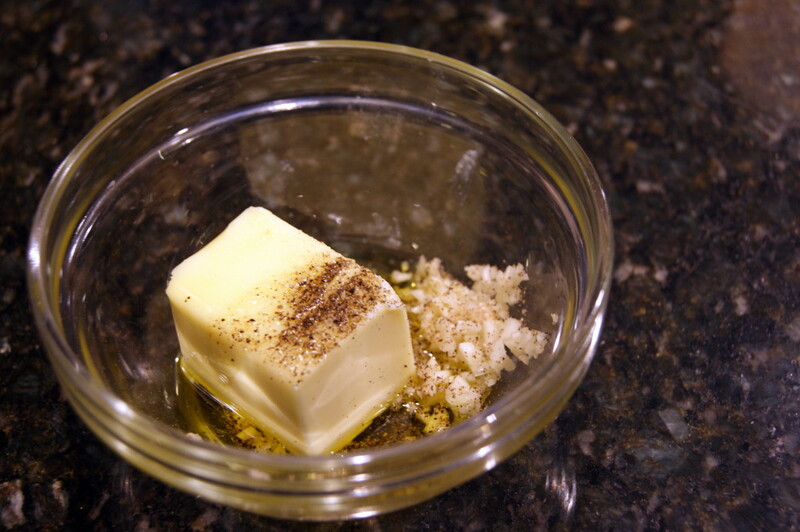 Get your butter, olive oil, garlic, salt and pepper in a grill safe bowl. Melt it while the asparagus cooks on the top rack of the grill. Cut and remove woody ends from the asparagus, usually about 1 – 1 1/2 inches. Toss asparagus with vegetable oil, salt and pepper. Add olive oil, butter, garlic and pinches of salt and pepper to a small, grill safe bowl. 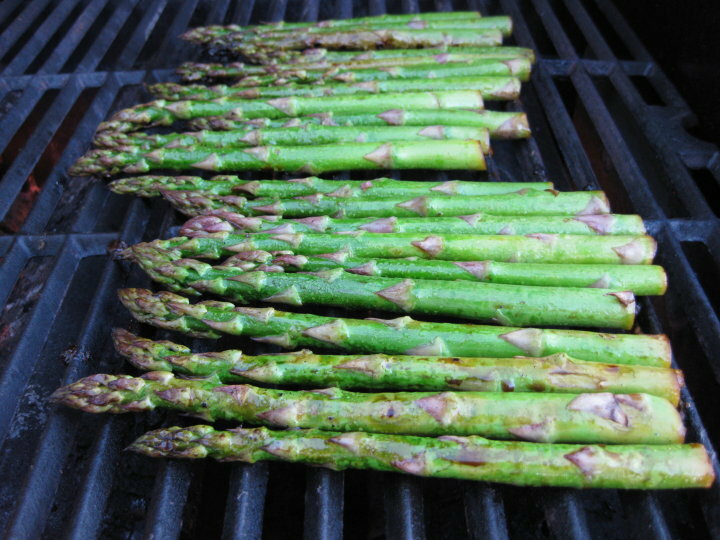 Grill asparagus directly on grill grates, for 3 – 4 minutes. While asparagus grills, place bowl of butter and garlic on grill to melt the butter. After 3 – 4 minutes, transfer asparagus to sheet pan. 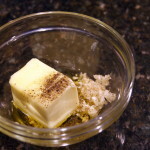 Continue grilling for 3 – 4 minutes, brushing often with melted garlic butter. When asparagus are tender, but still al dente, remove from grill.